Back in the day, making a Minecraft mod was...challenging. It was a series of JAR files and Java hacks and deep folder structures. It was possible, but it wasn't fun and it surely wasn't easy. I wanted to revisit things now that Minecraft is easily installed from the Windows Store. Today, it couldn't be easier to make a Minecraft Mod, so I know what my kids and I are doing tonight! 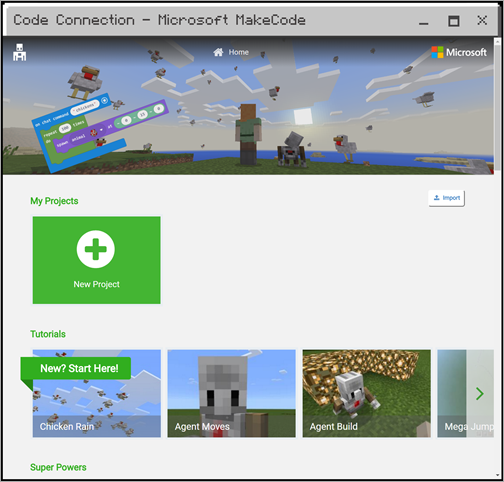 I headed over to https://minecraft.makecode.com/setup/minecraft-windows10 and followed the instructions. I already have Minecraft installed, so I just had to install the Minecraft Code Connection app. The architecture here is very clean and clever. 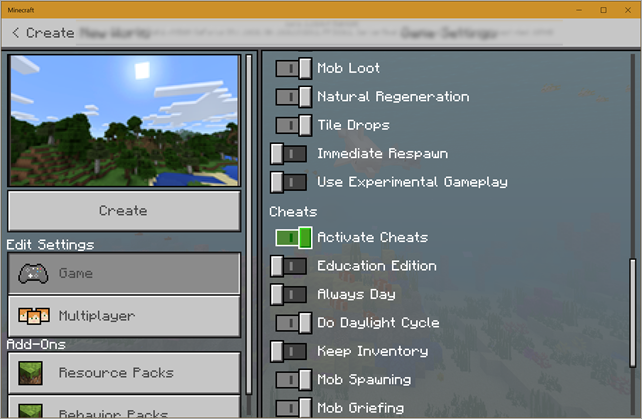 Basically you turn on cheats in Minecraft and use a local websockets connection between the Code Connection app and Minecraft - you're automating Minecraft from an external application! Then from the Code Connection app, I get a URL for the automation server, then go back to Minecraft, hit "t" and paste it in the URL. Now the two apps are talking to each other. I can automate with MakeCode, Scratch, or other editors. I'll do MakeCode. Then an editor opens. This is the same base open source Make Code editor I used when I was coding for an Adafruit Circuit Playground Express earlier this year. 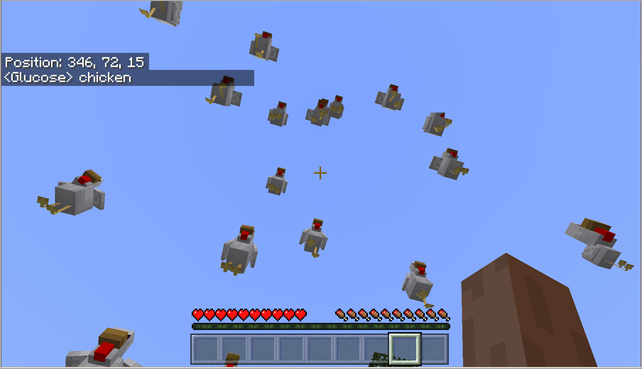 Now, I'll setup a chat command in Make Code that makes it rain chickens when I type the chat command "chicken." It runs a loop and spawns 100 chickens 10 blocks above my character's head. I was really surprised how easy this was. It was maybe 10 mins end to end, which is WAY easier than the Java add-ins I learned about just a few years ago. The one I'm most excited to show my kids is the Agent. Your connection to the remote Code Connection app includes an avatar or "agent." Just like Logo (remember that, robot turtles?) you can control your agent and make him build stuff. No more tedious house building for us! Let's for-loop our way to glory and teach dude how to make us a castle! I'm also not getting console.log() to work. In the MakeCode simulator, you can navigate to core/helpers.ts and see the definition of console.log shims to minecraft::serialSendString, but when I try to use it I get "Program Error: Cannot read property 'serialSendString' of undefined"
I talked to the team and confirmed this is a bug and they know about it and it should be fixed ASAP in a minecraft update. I am using Minecraft Windows 10 Edition v1.9.0, and Code Connection v1.50. I am following the instructions above, as I did in Minecraft Windows 10 Edition v1.8.0 and Minecraft Windows 10 Edition v1.8.1. When I try to connect with "/connect 192.168.178.30:19131", I get this error: "Kan geen verbinding maken met server ws://192.168.178.30:19131" which translates to: "Can not connect to server ws://192.168.178.30:19131". Is there any way to get this working for regular Java Minecraft? I am running Minecraft on Windows 10 but I don't want to buy another version of Minecraft.